Recognizing that a one-size-fits-all approach to bus service may not meet every community’s needs, Metro Transit is proposing to find cost-effective and innovative transit options for rural King County. The goal is to provide transportation services of the right size, scale, and type that better reflect the needs of each community Metro serves. The proposed five-year plan, sent to the King County Council today, provides a framework for alternatives to fixed-route bus service in less populated areas. It is supported by Metro’s new strategic planning policies, and recommends three areas – Vashon Island, Snoqualmie Valley and Southeast King County – for initial demonstration projects. Where bus routes have been identified for possible replacement with alternative service, Metro will work with communities to identify existing transportation providers, service gaps, and local travel needs. Communities and stakeholders served by those routes will then help develop options. Once alternatives have been identified, the service adjustments will be proposed as part of Metro’s standard service change process. In the short term, given Metro’s limited revenues, alternative services will play a key role in addressing transit needs in areas where fixed-route bus routes would otherwise be candidates for reduction or elimination. Alternative transit could also help ensure that transit options will continue to exist even if regular bus service is eliminated. Longer term, alternative transit services could be used to complement existing bus service if additional revenues became available. The plan reflects feedback from stakeholders who met earlier this year and bus riders of routes in candidate areas who participated in an online survey. Following council action on the alternative services plan, Metro will begin reaching out to community organizations and the public to explore service partnerships. 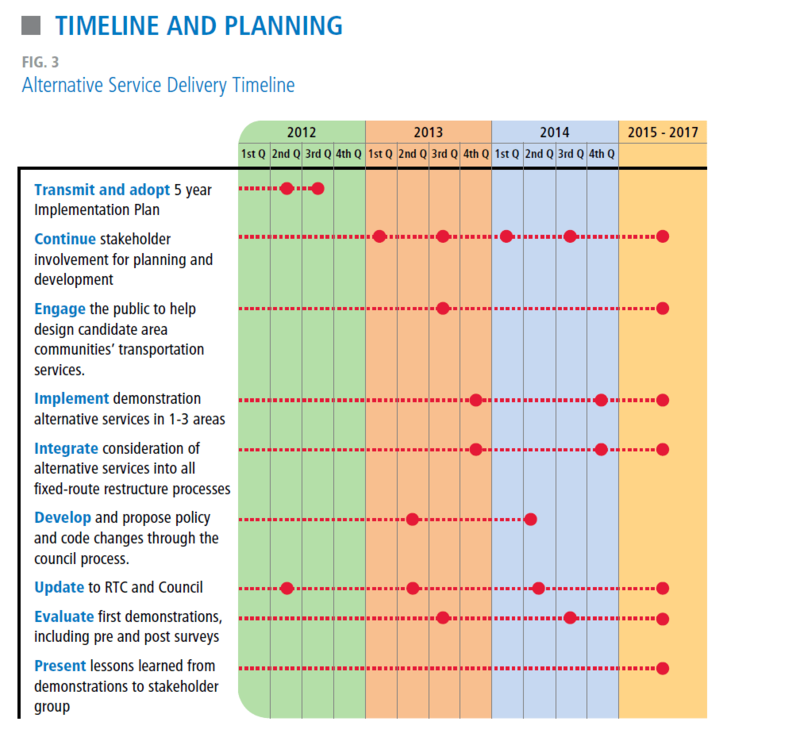 Read Metro’s recommended Alternative Service Delivery Plan. Visit the Metro’s Alternative Service Delivery webpage for more background.